Lyrics By – Billie HolidayMusic By – Arthur Herzog, Jr.
Ⓟ & Ⓒ 2002 Turtle Records / Edison Production Company bv. This CD is a Turtle Records production. 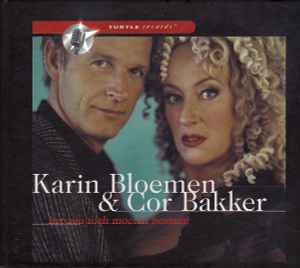 Recorded in the 'Evangelisch Lutherse Kerk' at Haarlem (NL) on May 6th, July 17th and 18th, 2002. The 16-page glossy booklet contains notes in Dutch only and a track and credits-list. It also contains all the sung texts and lots of black & white photos. The booklet and a CD-holder are attached (glued) into a CD-book with matte finish and reinforced hard-covers.